Today marks our one-year anniversary of full-time RVing. Wow. It's crazy just thinking about that. It has been 365 days since we sold our house and most of our stuff, moving into a home a third the square footage we were used to. And we haven't even killed each other yet! Just one more step backwards, honey! We're releasing two blog posts to mark the occasion, one chronicling what we've seen and done, and the other listing our lessons learned (that's this one). Of course, we know that RVing is a personal endeavor, and that everyone will approach this lifestyle differently. But here's what works for us, and we hope it helps you too. If you read nothing else, read this: a fast pace is a recipe for burnout. Especially if you work while you travel. We know we probably won't RV full-time forever. There's appeal in owning our own land again, in starting a family in a stable environment and in becoming deeply invested in a community. So it's unavoidable that, in the back of our minds, there's a nagging little voice: "Hurry and see it all!" You might call it my little personal FOMO (Fear Of Missing Out) shoulder-devil. That little voice is stupid. Seriously, tell it to shut up. We were advised from the beginning by other RVers to travel slowly. Our initial target was to move 200 miles every 14 days. For the first six months, we got pretty close to this, moving on average 201 miles every 10.5 days. This pace proved more or less sustainable for us. And then we decided to go to Alaska for the summer. Alaska was a bit of a hike from Phoenix, Arizona, where we were at the time. On top of that, we had to be quick about our trek because our internet setup wouldn't allow us to work while in Canada, and we couldn't afford much time off. Over the next five months, our pace changed dramatically. We averaged 184 miles every 3 days. When we got back to the Lower 48, we found ourselves wanting to quit, or at the very least hide in a hole. Our blogging slowed down, and we stopped doing fun stuff every weekend. Instead, we were busy repairing everything that had shaken loose on the unforgiving northern highways. This next year, we aim to scale back again. We're not so concerned about long driving days since we share the burden of driving, but we're going to try to move once every 2 to 4 weeks, allowing us a chance to catch our breath and enjoy each place we stay. It's impossible to dictate an ideal pace for everyone, but the bottom line is to take it easy. Stay long enough to experience where you are. Stay long enough to learn the basic layout of the grocery store and do some laundry. Stay long enough to go hiking a few times or take a tour of a national park. You started RVing to see the world, so stay long enough to do it! You really don't need a lot of space to live. And the more space you have, the fewer places you can go. If you plan on always staying in private RV parks, you won't have too many issues. 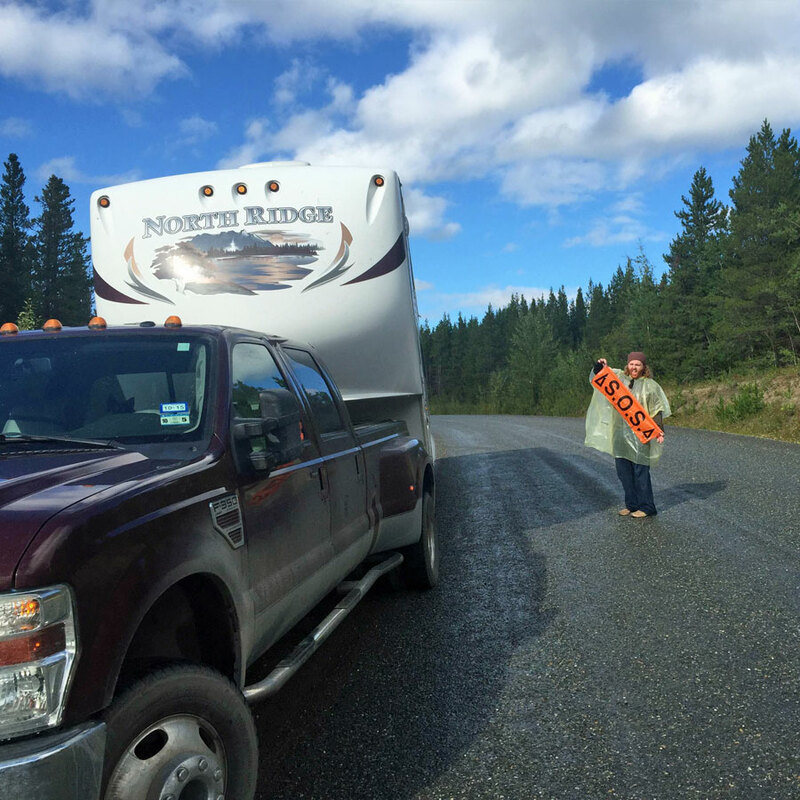 When our fifth wheel and long-bed pickup are hitched up, we're around 45 feet long with a turning radius like a train. Even then, only in a few private parks have we had difficutly pulling into our assigned campsites. Unfortunately, there have been quite a few public parks that we weren't able to enter because of our length. 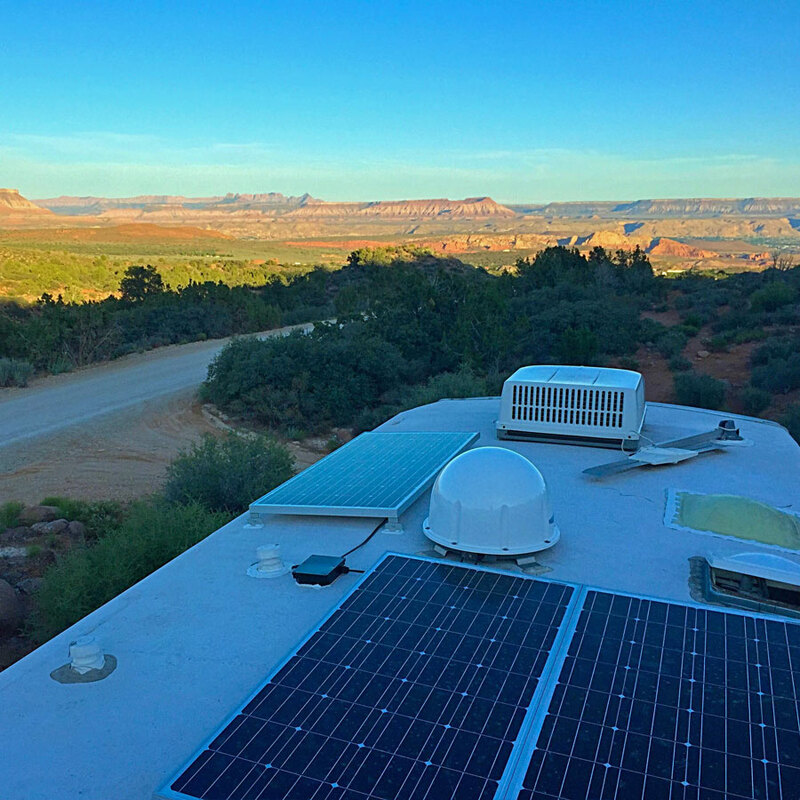 Also, when we installed solar, we very quickly fell in love with free boondocking (dry camping). These off-the-beaten-path camping areas are often an unknown, and several times we found ourselves heading down narrow gravel roads wondering if we'd even be able to turn around. This is part of why we recently downsized to a shorter motorhome. The longer we have lived this lifestyle, the more we have realized the freedom to go anywhere is more important to us than the comfort of having a larger rig. So when you're looking to buy your first RV, put a lot of thought into why you need space. Is it because you are traveling with your whole family or some large pets? Or is it just so you have room for stuff that you probably can leave behind? One of the most valuable things we did before launching into full-time RVing was attending an Escapees RVers' Boot Camp. Through the Escapees' SmartWeigh service, our total weight and height was tallied for us. But even more than that, we felt confident our load was distributed safely, and that we weren't putting undue strain on our tires or transmission. If you live near a Rainbow Park or an Escapees convergence, take advantage of these services. They'll give you a huge confidence boost and a place to ask all your questions. Even if this isn't possible for you, watch lots of videos and join forums. Sometimes it's just you out there, and your MacGyver-esque fixes are going to have to be good enough to get you to the nearest repair shop. Your hands will get dirty with this lifestyle, so don't let your pride get in the way. Get on forums. Join Facebook groups and RVillage. Reach out to bloggers you follow. Josh and I are both introverts. But even for us, our first six months on the road were quiet and sometimes lonely. We met a lovely RVing couple from Ottowa in Del Rio, Texas. We had dinner with friends in Albuquerque, New Mexico, and were visited a few days later by my in-laws. 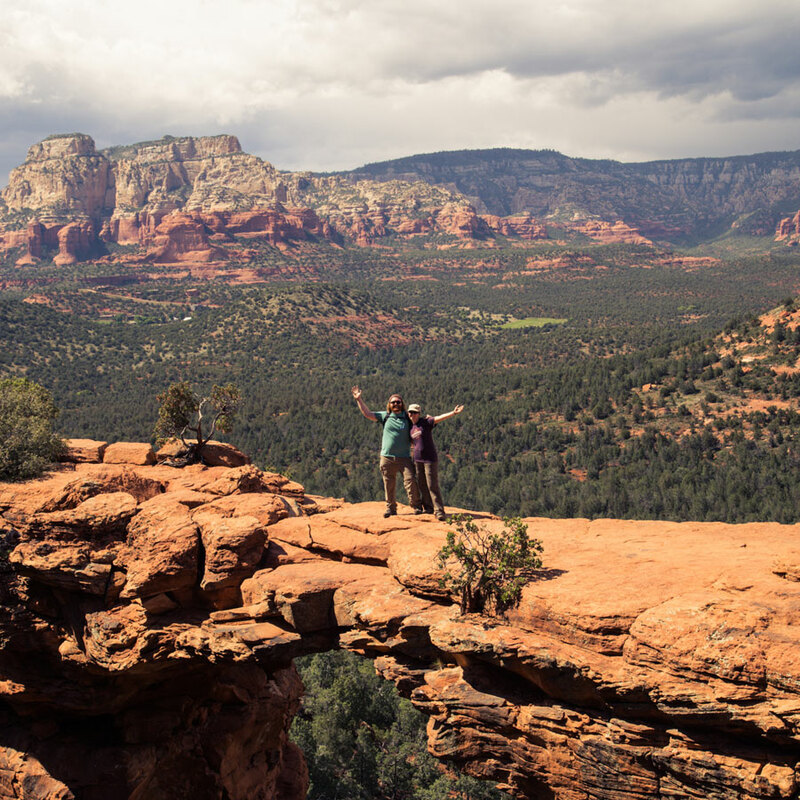 Jessi of Outbound Adventurer joined me in Flagstaff, Arizona. Aaaaaand that's the extent of our social interaction from February through May of 2015. It's really easy to live an isolated life as an RVer. You're anonymous and constantly a stranger in new towns. Fledgling relationships can be ephemeral. And sometimes that is absolutely perfect. 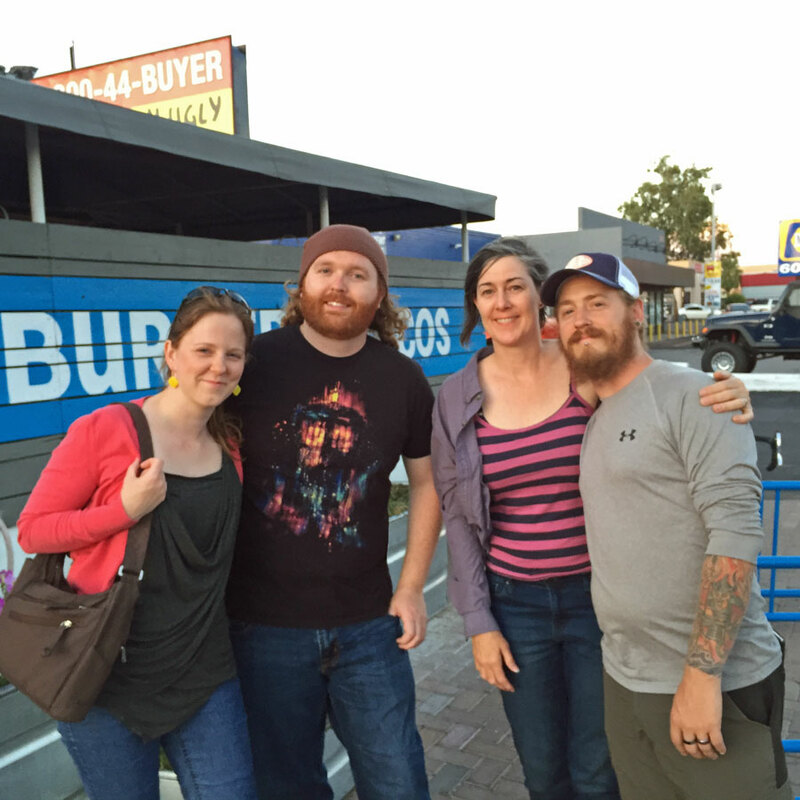 But when we met up with some fellow RV bloggers, the tone of our journey completely changed. Suddenly we had a support network of people who understood the weird issues of being on the road. We had someone to explore hikes and breweries with. We had someone to share black tank stories around the campfire with (awww). And, best of all, we had friends who understood that full-time RVing is not a constant vacation, and that sometimes we needed to tap out for a while. We're seriously grateful to know all these peeps, so give their blogs a follow. Get an idea of what you want to see. Make a map. Take off. Then deviate. I have some... let's say Type A qualities. Before we left Houston, I had created a map that detailed where we would stay, week by week, for the whole year. And I had started on an itinerary for 2016 and 2017 as well. No kidding. We stuck with the plan for two months before we had to leave our park early to repair our RV. From there, we would leave a place early if we had exhausted all we wanted to see (see ya, Carlsbad! ), or we would stay longer if we really loved a place (hello, Flagstaff!). If we had stuck with my original plan, I never would have discovered what a charming place Twin Falls, Idaho is. I wouldn't have spent weeks hiking through Washington's Snoqualmie Pass. 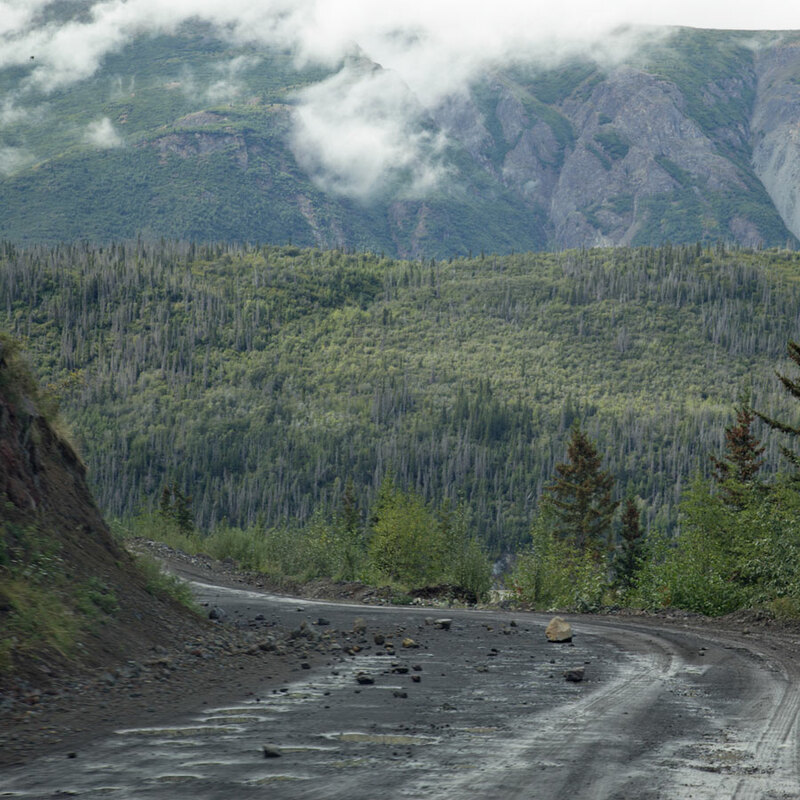 I wouldn't have gone to Alaska — and the experiences there could (and do) fill up a dozen blog posts. I'd never have met half of those new friends I listed above. We stuck with a general area — west — and just followed our curiosity. I encourage others to do the same. If you're preparing to become a full-time RVer or traveler, we hope some of these lessons learned will help you extend your enjoyment of the lifestyle. If you're already in our boat, what tips would you add? See you on the road!